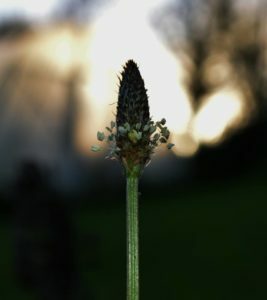 Plantains have small flowers in spikes and distinctive leaves. 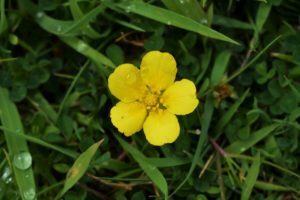 Potentillas generally have small yellow flowers, with 4-5 petals. 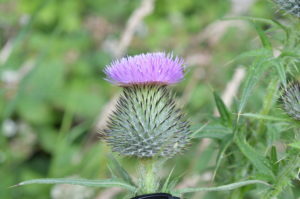 Thistles have distinctive purple flowering heads and prickly leaves. 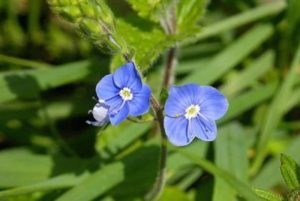 Speedwells are generally small plants, with distinctive blue (sometimes white/pink) flowers. 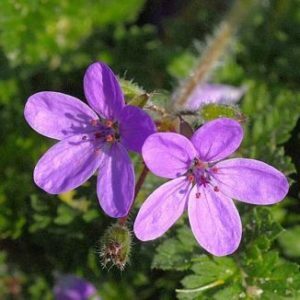 Stork’s-bills are small plant with pink flowers associated with coastal areas. 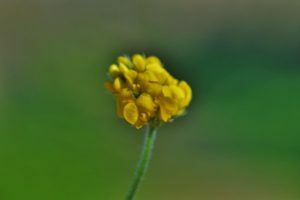 Trefoils and Medicks generally have small clusters of yellow pea family flowers and trifoliate leaves. 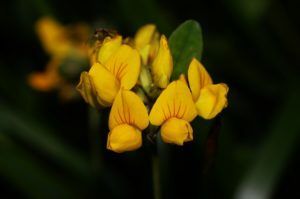 Plants with distinctive yellow pea flowers. 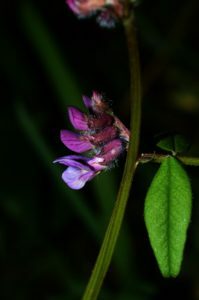 Vetches are members of the Pea Family (Fabaceae) which generally have purple/pink flowers (sometimes pale or white). 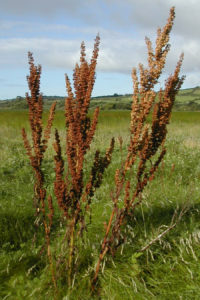 Docks and Sorrels are distinctive species, known better for their distinctive dark rusty colours when gone over, than there greenish/red flowers. 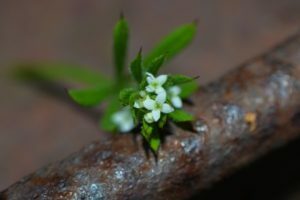 Galiums are generally characterised by small white 4-petalled flowers and recurved prickles which make them very sticky and allow them to cling onto other vegetation for support. 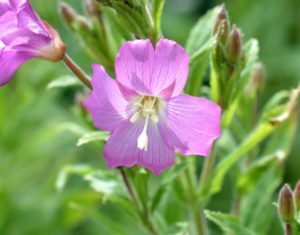 Willowherbs are generally pink flowered with 4 notched petals. They can range greatly in size. Stigma shaped is a great help in species identification.